Anyone know of a doc to explain enabling __Host-Prefix? Thanks in advance for any ideas on this!! Security: "__Host-Prefix", how to fix? Same Question here. Everything fine, scan gives grade A, only thing is __Host-Prefix ?? Same question here. I’m guessing it’s automagically enabled when the environment supports it, but a quick google can’t find anything about which part of my environment is unsupported. same here. Would be nice to know where the problem might be. "example.com", and not to “subdomain.example.com”). As per item 4 this means that we cannot do much here. That said, not having this security hardening doesn’t put you at risk. But it is something that you can consider for a future deployment. If you really want to have an A+ rating here the easiest way would be to change the DocumentRoot in the apache configuration. However, all your connected clients would need to be reconnected and sharing links would stop working. Since this will hit many users, you should link to this thread or some other FAQ in the scan results. @LukasReschke so the rating considers a nextcloud installtion more secure, if it runs directly in the root of a webserver where the crawlers find it, instead of running it in a “hidden” subdirectory? Re-reading what @LukasReschke wrote and re-checking my configuration, I’m coming to think that the issue is not the folder in which we placed our nextcloud installation but rather the subdomain. So I guess it meets the criteria for path="/". How can I achieve not having NC under a sub-domain? I rent a domain at 1und1.de and while I don’t have a static IP address I think I had to create a sub-domain and enter the My-Fritz URL (like dyndns.org) as CNAME. As said, being a newbie, what can I do different to get the A+? Every advise and detailed explanation by the experienced users is very welcome and really appreciated. This is a bogus security suggestion. Always link a cloud to another subdirectory where search engines do not pry! I give the nextcoud security checker an A- for suggesting it is more secure to host the cloud on the root of a published DNS entry! Just thought I would add my A+ rating solution here in case others have a similar setup to myself. I found this thread when I used the Nextcloud scanner and achieved an ‘A’ rating, good, but no cigar! 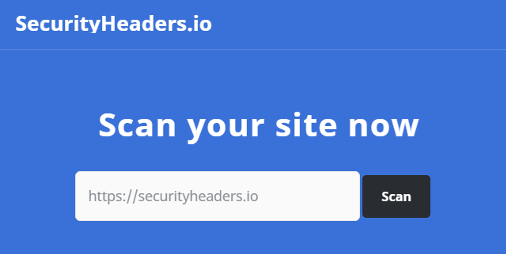 I was presented with the __Host-Prefix issue and the fact that the scanner detected my installation was in a sub-folder (/owncloud), which it wasn’t, it was being served from https://mynonwww.domain.co.uk. In addition I was running NC 11.0.1. I did much searching around without much success for the __Host-Prefix issue solution. In the end it was simple. Upgrading to 11.0.2 fixed the __Host-Prefix issue. As for the NC installation in a sub-folder. I had migrated from OC9 to NC. After some searching around in my apache config I discovered I had a legacy owncloud.conf file in /etc/apache2/conf-available/. This in turn contained a directory alias for a /owncloud /var/my/OC-NC-installation. As this was not in use, I simply removed the alias from the owncloud.conf file (I’m confident this conf file can be removed safely in the long-term for most migrated installations (just rename it to something else like owncloud.conf.[date])). Re-ran the NC scanner…A+ rating. I hope this helps someone else who has a similar setup.